Another week of integration and various variations on the Unity routine. We played with left (language, logical, literal, linear) and right (creative, imaginative, non-linear) brain on Monday – as well as celebrating a whole slew of birthdays including Janice, Debby, Arthur, Diana and Elizabeth! On Wednesday, we focused on integration of upper (imagination and remembered experience) and lower (direct experience in the moment) brain. Thursday, we celebrated Pat Taylor’s birthday and our 10,000 teachers with a CarlosCarlos (Rosas and Santana) routine. And I taught my last Walk Your Talk Friday 9am with the Unity routine which I meant to teach last week but didn’t given my iPod’s shyness. Spirit still showed up, though, and kept us from dancing one shy song that didn’t want to play. The ghost remains in the machine. All week, we played with the power and possibility of transforming hate (anger and fear) into love, so I also offer a short, beautiful video of The Omagh Community Youth Choir singing Love Rescue Me and the director who brought Protestant and Catholic kids together after a terrorist bombing. 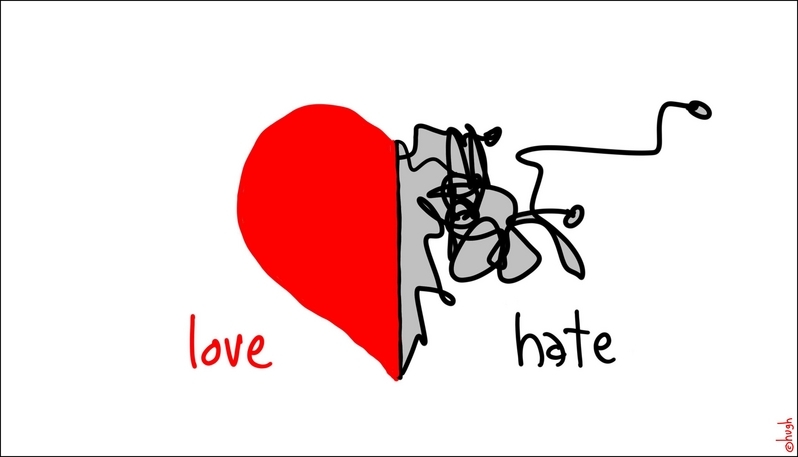 Reclaiming power by loving that which you have been taught to hate. Love that. And loved dancing with you all this week. I look forward to sharing the magic of inquiry and intent with you! [Sunshine – 3:34 – Matisyahu] – the song that was shy and didn’t show up!